A great home-made treat which can double as an elegant gift for that special someone. 1) Melt the chocolate gently over a low heat. 2) In a second saucepan, add the butter, salt and Jameson to the cream and heat over a low flame. Then add the cream mixture to the melted chocolate and mix together. 4) Using a blender or hand mixer, emulsify the mixture to remove any lumps. Finished product should be a glossy, smooth heavy liquid. 5) Pour chocolate mixture into a container, cover with a lid or plastic wrap and store in the refrigerator for at least 6 hours to harden. 6) When ready, using a spoon or ice-cream scoop, scoop out balls of truffles and place into a tray filled with the cocoa powder. 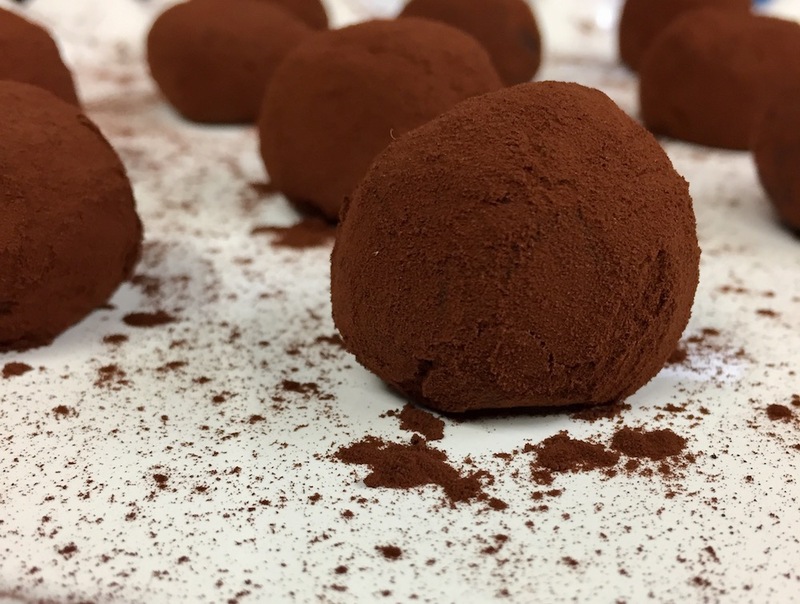 Roll truffles around in cocoa powder until completely covered. 7) Store refrigerated and enjoy within 7 days. Be as creative as you like with different truffle coatings. You can use toasted coconut flakes, crushed nuts, or dip the truffles in melted chocolate for a hard shelled truffle. This entry was posted in Blog and tagged chocolate, Irish Whiskey, recipes, St. Patrick's Day, truffles.